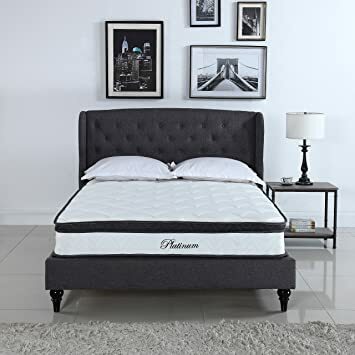 The best and most affordable 13 inch high quality comfortable genuine memory foam mattress and pocket springs is made to fit any body type and weight up to 400 pounds. 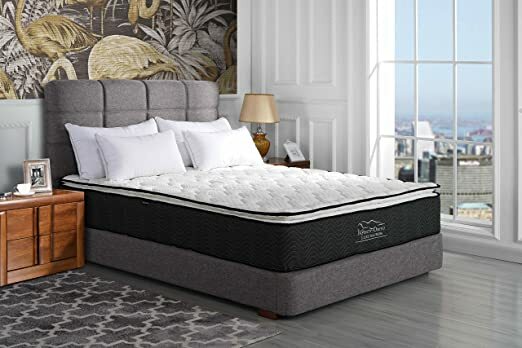 Our bestselling mattress ensures your body is supported by high density slow recovery memory foam and separately coiled springs with a breathable soft cover. Our gel memory foam is designed to give your body a cooling sensation for a better night sleep. By making our products from superior materials, we are able to compress and ship the bed in cost effective, and most importantly, convenient ways for you. This specific item is a hybrid cross from memory foam and pocket spring – to give you the best of both worlds! 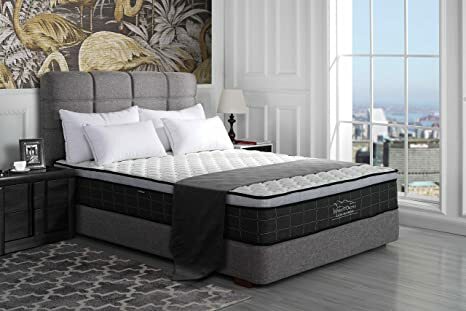 The best and most affordable 13 inch high quality comfortable genuine memory foam mattress is made to fit any body type and weight up to 400 pounds. Our bestselling mattress ensures your body is supported by high density slow recovery memory gel foam with a breathable bamboo cover that can be removed for convenience. Our gel memory foam is designed to give your body is a cooling sensation for a better night sleep. By making our products from superior materials, we are able to compress and ship the bed in cost effective, and most importantly, convenient ways for you. This specific item is a hybrid cross from memory foam and pocket spring – to give you the best of both worlds! The Better Mattress Company, is proud to introduce the all new Swiss Ortho Sleep mattress in 4 sizes, twin, full, queen, & king. More sensitive to pressure and temperature. A high quality pocket spring mattress that molds better to the shape of an individual’s body. Swiss Ortho Sleep is our best individually encased coil Mattress in ultimate quality & comfort yet. Made from 13 guage springs for extra long lasting use. It features a phenomenal high-quality pocket spring mattress. Temperature sensitive, body forming, super heavy and high-density mattress with the best breathable cover for an excellent night’s sleep. Made to fit all body types and weights. We rigorously test for comfort and for long lasting density. The 13 inch guage coils and comfort foam act as an ultra combination of selected layers for comfort that eliminates pressure points,and tossing & turning at night by contouring to the body. Swiss Ortho Sleep bestselling mattress ensures our bodies are supported by the semi firm coils to ensure long lasting use. Made from superior materials in the market and it always comes with a 10 year warranty. 13 inch High quality comfortable memory foam mattress, supported by high density foam for ultimate comfort. Delivered right to your door! 15 inch High quality comfortable memory foam and innerspring hybrid mattress. This new and carefully designed mattress allows for the best of both worlds! Incredible comfort and long lasting featuring a pillow top and soft removable bamboo cover. Delivered right to your door! The better mattress company, is proud to introduce the all new Swiss Ortho Sleep mattress in 4 sizes, twin, full, queen, & king. More sensitive to pressure and temperature. A high-density memory foam mattress that molds better to the shape of an individual’s body. Swiss Ortho Sleep is our best memory foam mattress in ultimate quality & comfort yet. 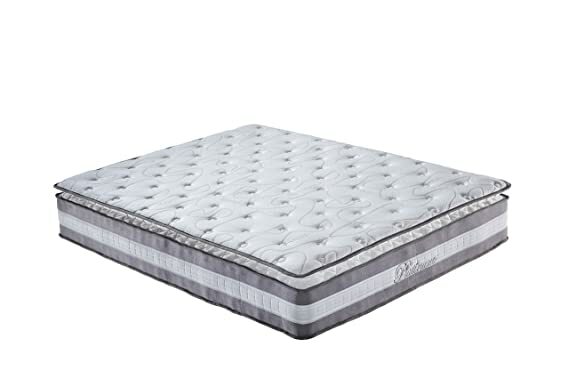 Made from genuine extra long lasting combinations of memory foam. It features a phenomenal high-quality multi layered memory foam mattress. Temperature sensitive, body forming, super heavy and high-density mattress with the best cooling technology gel for an excellent night’s sleep. Made to fit all body types and weights. We rigorously test for comfort and for long lasting density. The multi-layer memory foam, act as an ultra combination of selected layers for comfort that eliminates pressure points and tossing & turning at night by contouring to the body. Swiss Ortho Sleep bestselling mattress ensures our bodies are supported by the slow recovering memory foam. Made from superior materials in the market and it always comes with a 10 year warranty. Every mattress comes with our exclusive soft knitted, breathable and removable white bamboo cover. 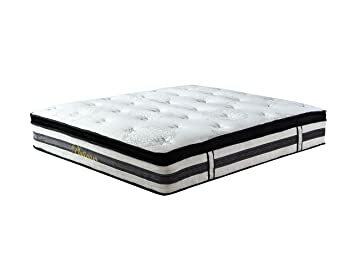 Swiss Ortho Sleep, Most Popular Pocket Encased Coil Spring MATTRESS is a Phenomenal High-Quality 12-Inch Certified Independently & Individually Wrapped Pocketed Encased Coil Pocket Spring Contour MATTRESS. This Swiss Ortho Sleep Mattress is Temperature Sensitive, Body Forming Super Long Lasting High Quality & Extremely Durable, for Many Years of Undisturbed Night’s Sleep. Each Separate Pocketed Coil is Individually & Independently Wrapped to Provide a Support System for an Individualized Comfort by Contouring Precisely to each Person’s Body Perfectly. It Also Doesn’t Transfer Motion, for a Peaceful Undisturbed Sleep. Our Signature Motion Isolation Pocketed Encased Coil Mattress is Made for Optimum Deep Comforting Pressure Relief Sleep. By Relieving The Pressure Points, Pocket Coil Mattresses Allow Blood & Much Needed Oxygen to Circulate & Flow More Efficiently Throughout Our Bodies. This Mattress Also Contains a Bamboo Cover Which Allows Breathability all throughout. This mattress features a plush foam topper to provide you with the best sleep you’ve ever had! It is Delivered to you in an Easy and Convenient Compressed Packing. 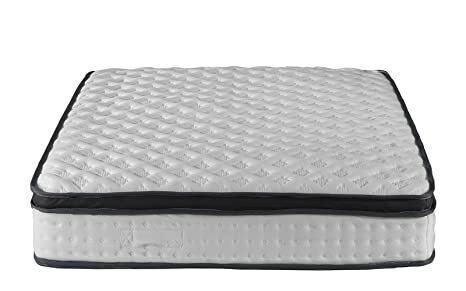 Swiss Ortho Sleep – 12 inch individually pocketed spring mattress with a plush memory foam pillow top. Hybrid mattress contains 9.5 inches of individual pocket springs and 2.5 inches of foam pillow top for extra comfort. Mattress top is made of bamboo fabric for breathability and cooling to assure a good night sleep. Compressed for easy shipping and delivery. 13 inch High quality comfortable memory foam and innerspring hybrid mattress. This new and carefully designed mattress allows for the best of both worlds! Incredible comfort and long lasting featuring a pillow top and soft removable bamboo cover. Delivered right to your door! 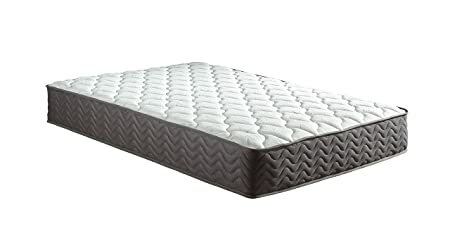 Swiss Ortho Sleep – 12 inch individually pocketed spring mattress with a plush yet firm memory foam pillow top. Hybrid mattress contains 9.5 inches of individual pocket springs and 2.5 inches of foam pillow top for extra comfort. Mattress top is made of bamboo fabric for breathability and cooling to assure a good night sleep. Compressed for easy shipping and delivery. 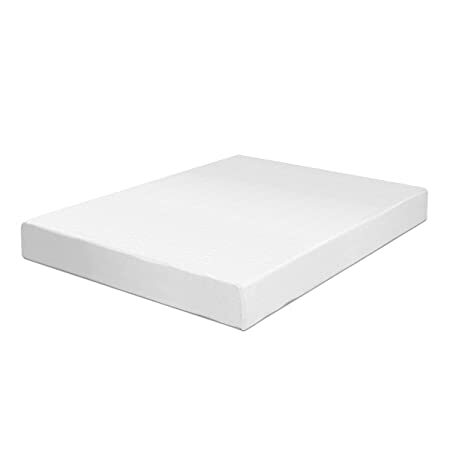 10 inch High quality comfortable memory foam topper with innerspring mattress. This new and carefully designed mattress allows for the best of both worlds! Incredible comfort and long lasting featuring a pillow top and soft removable bamboo cover. Delivered right to your door!